Earlier this week I got great nail mail from Cristina at Let them have Polish! She found some polishes she thought I'd like because they reminded her of my RBL dream color idea. She got me these two great NYX polishes. I don't have any NYX polishes so I was excited to get these! 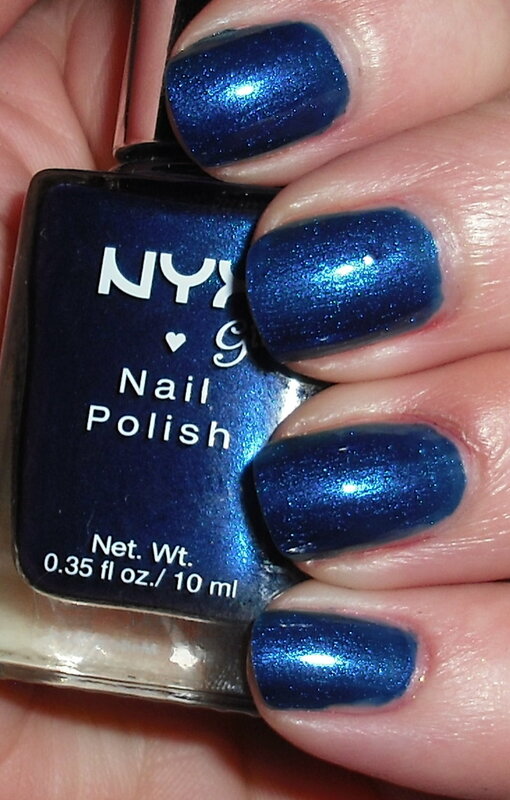 Pacific Blue is an intense medium-deep blue shimmer. Gilded Glitter is glitter top coat with different shaped gold giltter pieces. Gorgeous! I love the gold on top of the blue. Cristina was right, this definitely does remind me of my dream color. This looks just like lapis lazuli. Great combination. Lalalalove it! The combo is so regal and rich! The blue by itself is stunning! I'm so glad you liked them! 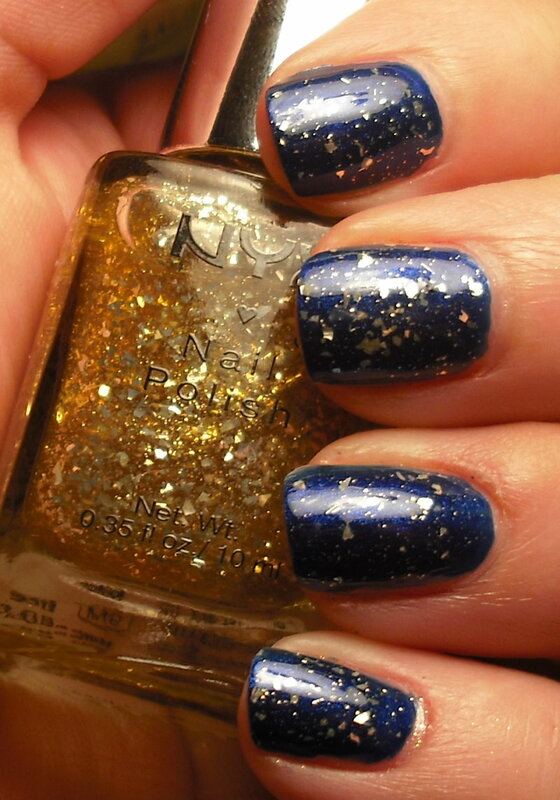 I'm loving that glitter top coat! Cris-I do love these! Thank you so much for thinking of me. Kimberly- Thank you! Can you believe I avoided blues up until a year ago? I was convinced blues didn't suit me. TheVeroBlog- Thanks! No problem! Love your blog and the forum.